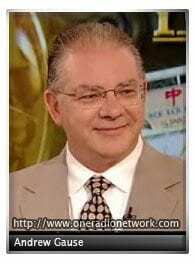 Guest Host on USARadioNetworks: How’s that economy looking? Andy Gause is one of America’s foremost experts on the history of money and the US banking system. – author of The Secret World of Money – Joins Joe to discuss coming crash!